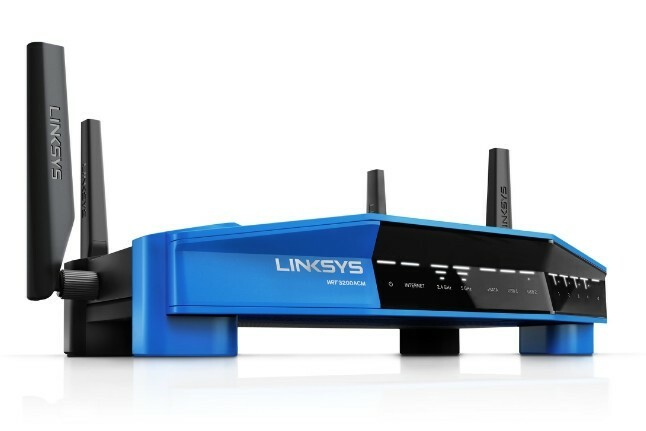 Linksys today announced the next generation of its one and only WRT router — the WRT3200ACM. The new Linksys AC3200 WRT Gigabit MU-MIMO Wi-Fi Router features Tri-Stream 160 technology creating the fastest Dual Band router available* and MU-MIMO technology for simultaneous Wi-Fi connections to multiple devices at the same time. It is open-source ready with OpenWrt or DD-WRT for complete flexibility and customization of networking functions or for optimizing the router for specific use cases, such as privacy, VoIP, and small office applications. The newly updated Linksys Smart Wi-Fi app allows users to manage and monitor their home or office Wi-Fi via the cloud from their mobile device, anytime, anywhere. Linksys offers the largest portfolio of working MU-MIMO solutions including routers and range extenders. The new WRT3200ACM extends the MU-MIMO lineup in a high performance, feature rich solution ideal for homes or small business. MU-MIMO (Multi-User, Multiple-Input, Multiple-Output) is the next generation Wi-Fi 802.11ac Wave 2 technology, which helps improve overall performance and efficiency of a Wi-Fi network while providing dedicated bandwidth to MU-MIMO capable client devices as if they have their own dedicated router. With MU-MIMO, the whole household and small office can enjoy 4K and HD TV streaming or other high bandwidth applications to multiple devices all at the same time. Almost all of today’s current home routers max out at 80 MHz channel width; however, the new WRT3200ACM is Dynamic Frequency Selection (DFS) certified to allow operation at 160 MHz channel width in the 5 GHz band. For example, an AC1900 router uses three streams at 80 MHz channel width. Each stream tops out at 433 Mbps, resulting in a total of 1.3 Gbps. The WRT3200ACM uses three streams at 160 MHz channel width to drive data at 867 Mbps per stream, providing up to 2.6 Gbps – which is up to 2X faster. DFS Certification is a Federal Communication Commission (FCC) mandate for radio systems operating in the U-NII-2/U-NII-2 extended 5 GHz band to be able to avoid other radio transmissions considered mission critical, such as military, terminal Doppler weather, or airport radars. DFS certification allows operation at 160MHz channel width and also increases the available channels at 80MHz so the WRT3200ACM can operate in the clearest, uncongested Wi-Fi airspace that other routers aren’t allowed. With less congestion or interference, data is able to move faster and more efficient resulting in better overall performance. Replace the full-featured factory firmware with a stripped down firmware so the router’s power is solely directed to moving network traffic instead of running other services like parental control or cloud services. Linksys, Marvell and the OpenWrt project have been collaborating to provide full open source support for the WRT3200ACM in OpenWrt’s stable and development branches. OpenWrt is a modular system, where users can select and install additional features on top of pre-compiled firmware images from the open source community. This modularity allows networking-savvy users to fully customize the feature set of their router to better suit their particular needs. Some of the recent highlights in OpenWrt include full support for IPv6 networks, better support for multi-core systems in the network stack and enhanced support for 3G/4G modems.